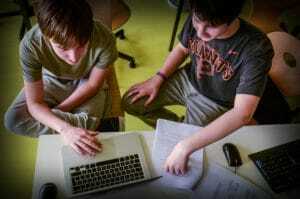 Do Teenagers Truly Enjoy STEM Summer Courses? Almost every parent we speak with agrees that a STEM summer courses for teenagers are a great idea and that computer programming skills are critical. STEM skills foster valuable life skills like creativity, problem solving and collaboration, but teens aren’t always eager to give up their summer sleep-in for a week in the classroom. But think about this: Jobs in STEM are growing at nearly twice the national average in the US, meaning that by 2020, in the US alone, there will be well over 1 million tech positions unfilled! So, how do you inspire the next generation to wake up early to learn to code and create solutions and products meaningful to their generation? By offering them the opportunity to dive into hands-on learning, creating, engineering, coding, programming, and making in a STEM summer course. Onsite at Ecolint in Geneva for summer 2016 courses Meet part of our TechSpark Academy team! This past week marked TechSpark Academy’s fourth STEM summer camp and we couldn’t be more proud of all our students who participated in coding, creating and building their skills in 21st-century literacy. 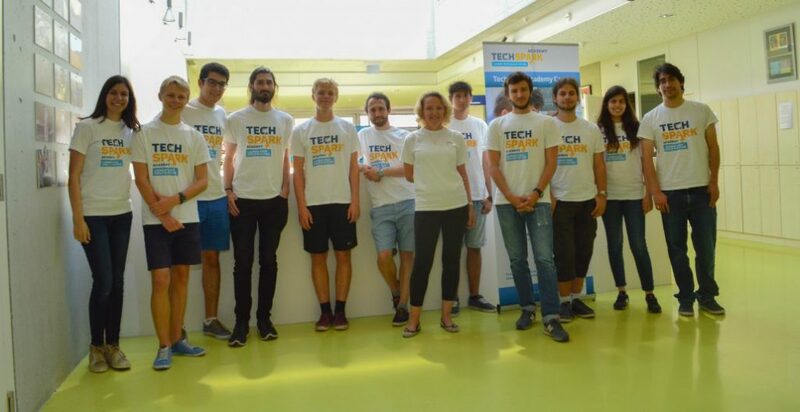 Our TechSpark Academy Geneva camp welcomed 52 students to 5 different courses at the International School (Ecolint, Les Nations). 3D Printing, our newest course, turned out to be one of our most popular. In fact, demand for this class was so high up to registration we needed to split the students into two classes. Unless a child is overly enthusiastic about programming or technology themselves, it’s hard to judge as a parent if signing them up for a week long coding class is really going to interest them. (and if it doesn’t, you’ll hear about it the rest of the vacation). We have pulled together some of the student feedback, by course, so you can hear what they had to say about each of the five courses offered this summer. Here is what our ‘3d printers’ told us about our newest course on how to print 3D! And yes, our students are also realistic, saying “Fun course that helps get through days which otherwise might be you sitting at home with their iPhone or watching TV”. It’s so good some of them appreciate this point! Check out our Apple “Swifters” who were no less enthusiastic! In Swift, too, we had the natural admission that “It’s great but very tiring … it’s a very good introduction to programming”. Got to work at it, but you’ll love it! Python students coding and creating. And what about Programming Python, a powerful and fast computer language that everyone learns at the EPFL? Our photography course is one of our favorites. Teens think so too! The Robotics students were no less enthusiastic, with very practical recommendations for their friends. Thinking about something for your teens to do the remainder of this vacation, or already thinking about the next break coming up? Join our August course in Lausanne and bookmark our website for upcoming vacations. We’re certain your teens won’t need convincing to attend a TSA coding. As they say ”They are pretty cool and you don’t feel bored at class”. If you had a teen who attended this course we’d love to hear your thoughts. Drop by our Facebook page and please leave us a comment!